Derald Scoular was born July 3, 1960 in Garden Bay near Pender Harbor, B.C. He is the son of Donald and Brenda Scoular. Derald’s native heritage stems from both sides of his parentage, his father’s grandmother and his mother’s great grandmother are from the Sechelt First Nations Band and his mother’s great, great, grandmother was from the Cowichan First Nations Band on Vancouver Island. Derald grew up in Pender Harbor but has resided in Port Alberni B.C. for the past number of years. 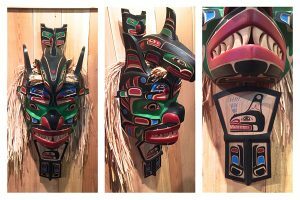 Derald began his career in carving with master carver Gene Brabant in 1981 while residing in Vancouver. He Derald learned to carve in the Kwakiutl style and is constantly developing his own unique style and technique. Derald takes great pride in his work; his style defined by exceptionally fluid and clean lines. 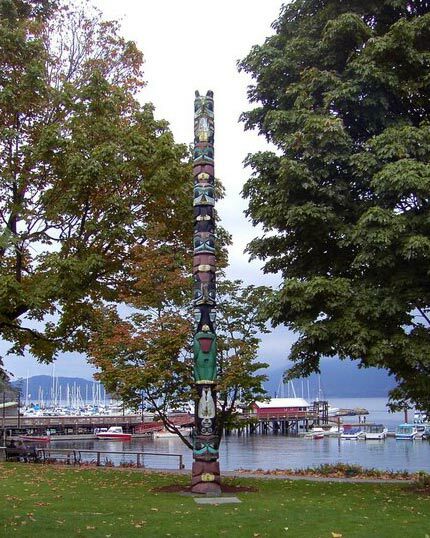 Scoular’s work, masks and totem poles can be found throughout Canada, USA and Europe.